The risk of mold and other forms of secondary damage increases the longer that moisture lingers after water damage. The risk of mold and other forms of secondary damage increases the longer that moisture lingers after water damage. There are several ways to promote fast drying, starting with the timely removal of standing water and continuing through increasing airflow and reducing humidity. Here are three drying methods and water damage tips for owners and managers of commercial properties in Auburn, WA. Standing water must be removed before the area exposed to a pipe burst or other damage can be dried. Some of the best initial cleaning tips include using a pump to eliminate water and solids before disinfecting areas that have been exposed to contaminated water. Property owners can start this process with mops, towels or a wet vac, but a pump will get the job done faster and more thoroughly. Mitigation professionals usually recommend increasing ventilation as a way to promote drying and prevent secondary damage. This can be done by setting up specialized equipment such as an industrial air mover or using fans or an HVAC system. Building owners or managers should check with experts to determine the best approach. Maintaining low humidity levels is one of the most important water damage tips. Mitigation professionals may recommend running a dehumidifier. An indoor relative humidity level between 30 percent and 50 percent can help to inhibit mold growth. Mold and other types of secondary damage such as corrosion or rot may be more likely to form when humidity levels exceed 60 percent. These damage tips can be useful for eliminating the presence of water and residual moisture at a commercial property located in Auburn, WA. Building owners and managers can follow these drying and cleaning tips, but mitigation and restoration professionals have the expertise and equipment necessary to ensure that cleanup and drying will be handled quickly and effectively. The good news is that mold remediation professionals can identify problem areas, handle mold clean and remediation tasks. 1. Are there mold standards that govern cleaning and removal? 2. Which types of mold should I be concerned about? 3. Is my property at risk of buildup? 4. Do I need a professional to clean up affected areas? Fortunately, it's easy to get the answers you need to keep your properties safe from any damages related to this problem. Mold remediation experts in Auburn, WA are guided by standards established by several organizations, including the Institute of Inspection Cleaning and Restoration Certification and the American National Standards Institute. You may not be familiar with these organizations, but a quick internet search is all it takes to learn more. 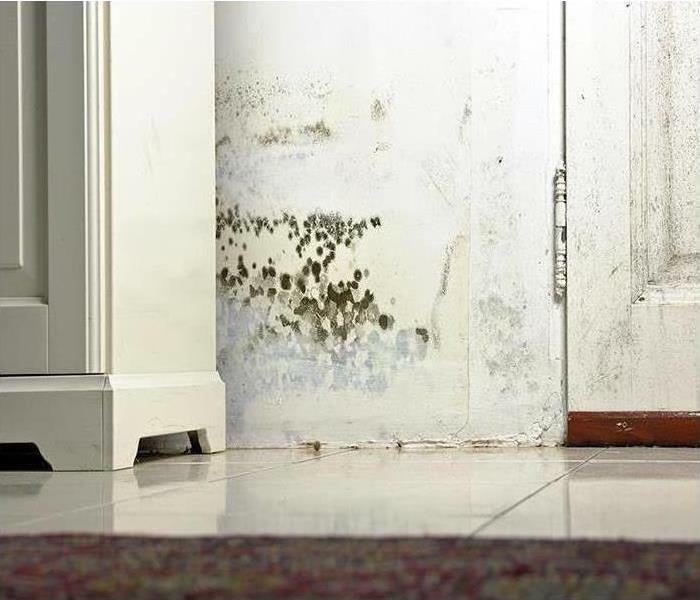 Of course, the Environmental Protection Agency and Occupational Safety and Health Administration also have a say in established mold standards. What do the IICRC, ANSI, the EPA, and OSHA have to say about which molds do the most damage? The answer generally has more to do how far the mildew has spread. For example, an isolated section of wall that only measures an inch or two thick is much less of a problem than a musty smell throughout your entire building. 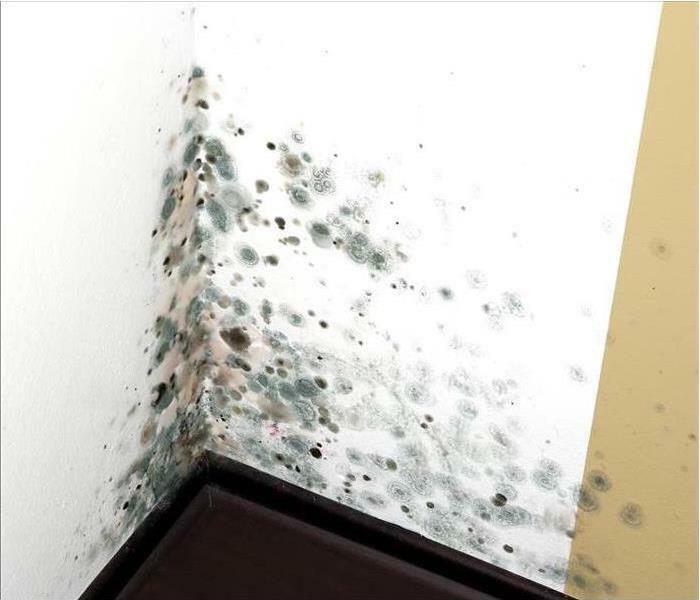 Unfortunately, mold has developed the ability to survive under harsh conditions. This means that if there are humidity and organic substances (such as drywall, cement, or dust,) then spores can set up roots and lead to colonies. The good news is that mold remediation professionals can identify problem areas, handle mold clean and remediation tasks, and prevent further outbreaks. These technicians are well-versed in the mold standards established to protect Auburn, WA properties like yours. Insurance agents often prefer to work with vendors that are certified by the IIRC. When commercial properties in Auburn, WA are affected by storms, fires or flooding, it’s often important to begin restoration quickly. Insurance agents may prefer to work with restoration companies that are IIRC (Institute of Inspection Cleaning and Restoration Certification) certified and understanding more about this certification can help put business owners’ minds at ease. There are various benefits of employing a certified vendor. For a company to become certified, its employees must be trained to meet the industry standards and pass a variety of tests. The Institute also offers continuing education classes, which allows restoration professionals to expand their knowledge. Additionally, companies that are certified must have up-to-date liability insurance. Learning about the restoration process can be helpful. Knowing what the IIRC is, why an insurance agent may choose to work with a vendor that is certified and benefits of working with a certified company can give business owners reassurance that their properties will be skillfully restored. A broken water pipe and the resulting flood are clearly one of a homeowner’s worst fears. A broken water pipe and the resulting flood are clearly one of a homeowner’s worst fears. The unexpected expense exponentially adds to the stress of the situation. Although the cause of the broken pipe will determine if the pipe repair is covered under insurance, the damage from the water will likely be included in your insurance coverage. 1. Turn the Water Off! Turn off the main valve where water flows into your home. This will ensure that you have shut off all options for any water to be leaking into the house. If you do not know where the broken pipe is located, shutting off all of the water into the house is the best option to mitigate the flood. Broken pipes and flooding need to be addressed immediately, no matter what time of day or night. Look online to find the closest water damage repair professionals in Auburn, WA. 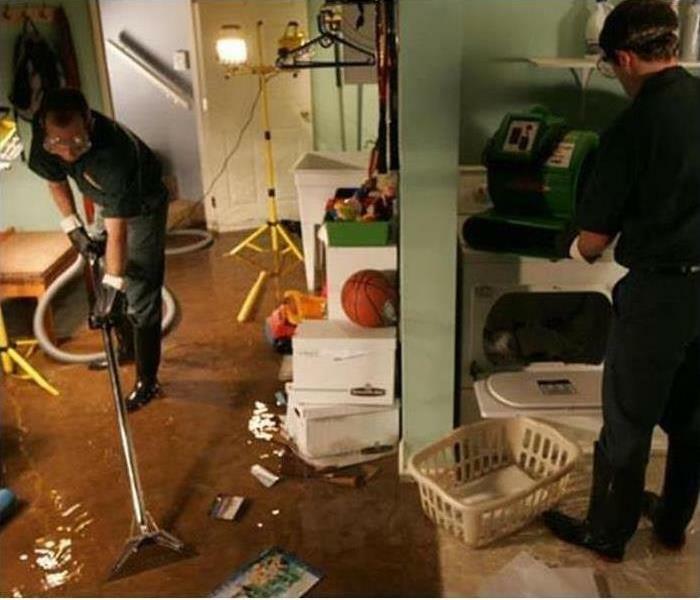 Call them ASAP to start the process of removing the water to prevent further damage. Call your insurance agent as soon as possible to put a water damage claim in motion. Take lots of pictures and write down all your questions. Be prepared to provide as much information as you possibly can. Your agent will work quickly, but being proactive will accelerate the claim’s progress. If you are a DIY-er, there are many online resources to teach you how to repair a broken or leaking pipe. If you have any concerns, however, it is best to contact a local plumber or contractor that has received good reviews for this kind of work. Since most homeowner insurance policies consider pipes to be part of regular home maintenance, it is best to schedule periodic upkeep. In case of a broken or leaking pipe, prompt action is the best recourse to stop the flood and get life back to normal as quickly as possible. No matter what kind of mold you are dealing with, any mold contamination should be carefully and completely removed. If you can physically see mold growing somewhere in your home in Auburn, WA then the answer is clear: it’s time to call the professionals. No matter what kind of mold you are dealing with, any mold contamination should be carefully and completely removed. Mold assessment can help you figure out what is going on and how you should deal with it. Once you identify the mold, you can research how to approach and eliminate that type of mold. When studying the mold, avoid physical contact and wear a face mask for protection. One specific type of mold is known as black mold. This fungus is very toxic. Often, this type of mold starts out with a dark, greenish hue and slowly turns black as it matures and is established. If it looks suspicious and has a musty odor, it could be very harmful and should be taken care of as soon as possible. Any mold that you find in your home needs to be disposed of properly, and mold assessment professionals can help you. After you have identified the issue, it’s important to act quickly. It only takes a few days for mold to spread, especially when it is in a warm, wet area of your home. Often, it can spread behind walls and under floors without you noticing it. 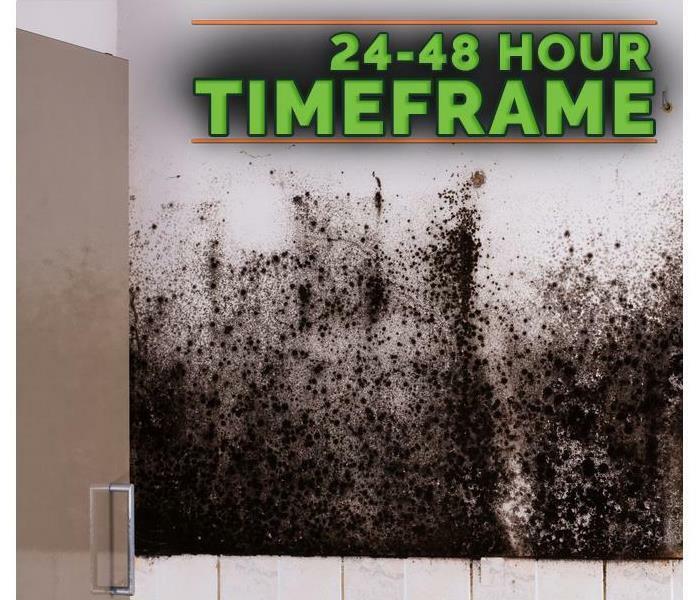 If you spot mold anywhere, it’s time to call restoration professionals and stop the mildew from spreading before it contaminates more of your home. If you see any dark spots, bulges, or suspicious signs in your home, you may be dealing with fungi. Mold assessment can help you get a better idea of what is happening. 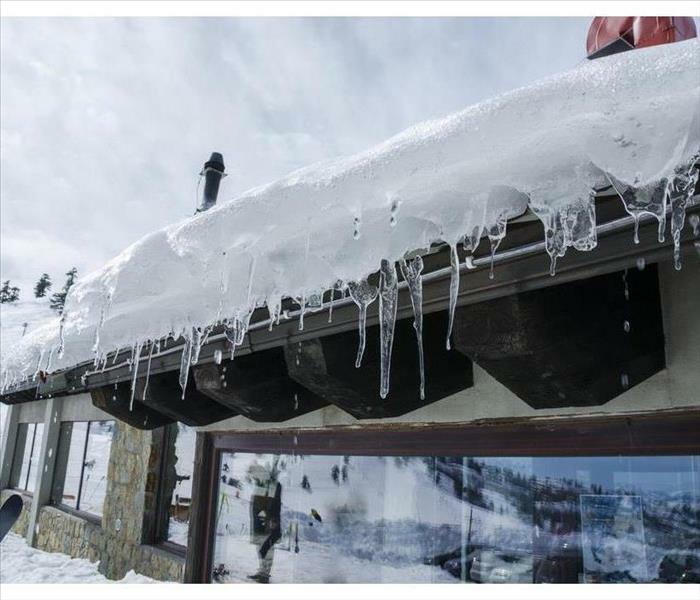 Ice damming, ice dam removal, frozen pipes and other ice damage problems are often mistaken for cold areas, nothing could be further from the truth. Such ice damage problems are always common in all parts of the world. If not properly checked and corrected, frozen pipes have the potential of messing the property’s structure while ice dams on the other hand can clog and interfere with the flow of melted ices thus leading to roof damage just as wind damage would affect the roof. When removing ice dams it is important to get the services of home restoration companies that have the skills, competence and resources in ice damming. Stagnant water is structurally dangerous to any property. Excess ground water and flood water that don’t drain appropriately are the causative agents of flood damage and water damage. As much as it may be tempting, flood water should always be handed by expert storm restoration company with skilled staff and equipment such as flood pump. Flood pumps are very useful in the storm remediation. process but it takes the right restoration company to know which flood pump is right to use. In addition to flood pump other commercial drying agents or equipment might also be used to speed up the process. This should also prompt speedy roof repair in order to prevent water from flooding up the dried floor. As mentioned above, the damage is one of the most dreadful experience in the life of any property owner. The flood water, running ground water, roof leak, ice damming and river flooding not only cause havoc to the property structure but also the household properties. With the help of profession water restoration companies, at least there is some hope left. Ensure therefore that the water restoration firm that comes on board to restore a damaged property has the skill power and resources to handle the storm remediation process from getting rid of flood water to roof repair. The above tips should help any water restoration victim get started on how seek help. Visit http://www.SERVPROauburnenumclaw.com for more information on storm damage. While every water damage restoration project will differ, there are some things you can expect to happen when you contact professionals in Auburn, WA to repair your building. Before an expert can tear out broken structures, he or she will need to conduct a thorough inspection. There is an intricate process to carry out, and it is essential for a professional to perform every task to provide superior storm restoration. Standing water is extremely dangerous, so the removal process needs to begin immediately. Professionals have access to powerful shop vacuums that can remove dozens of gallons of water in a short period of time. Removing water also helps hinder the development of mold. While a water restoration company will do everything possible to salvage items in the flooded area, sometimes there will be items too far gone to save. For example, if the water damage extended to a room with carpeting, then the carpet will likely need to be removed. An expert will tear out carpet because it is highly susceptible to developing mold, and it often cannot be restored. After flooding, professionals will facilitate the drying process. This essentially consists of the experts bringing in industrial fans to circulate air throughout the affected area. This can entail drilling holes in any drywall to ensure air flows to the back of the boards. Some items are salvageable, and professionals utilize various techniques in Auburn, WA to sanitize them and get them back to pristine condition. The storm restoration process also entails using air scrubbers and other tools to address odors and bacteria. Finally, the professionals will try to restore the room itself. Some drywalls panels may need to be replaced. There are some circumstances where the experts will need to essentially tear out the entire room and rebuild it from scratch after extreme water damage. During and after a flood, a lot of things can go wrong. You may discover significant damage to walls, floors, the ceiling and furniture. Also, flood water can ruin documents, including books and financial paperwork. You may think these items are a total loss, but when the right team gets on the case, there is hope for document restoration. The best emergency response companies can take even the most delicate documents and salvage them following flood damage. How Does SERVPRO Approach Damaged Documents? Hopefully, you have backups for your most sensitive documents. However, with items such as books, pictures and other keepsakes, you need an effective document drying process to save them. 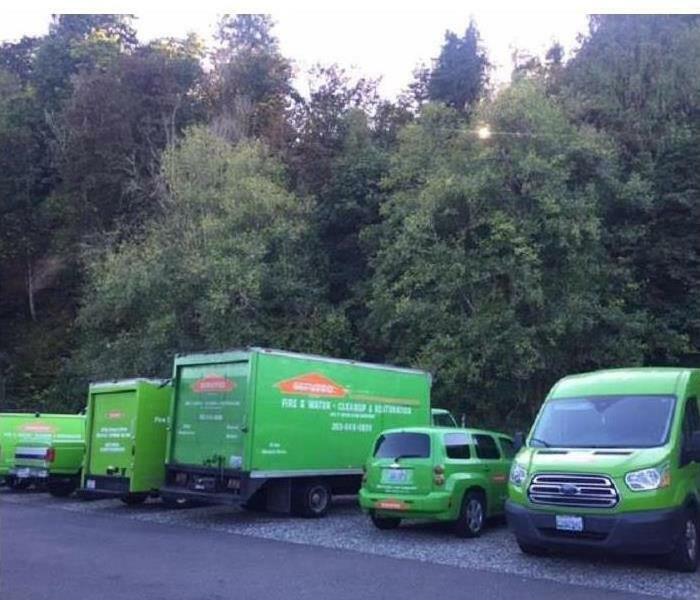 This is where SERVPRO comes in. Technicians will examine the affected items and determine the extent of the damage. Technicians will decide what they can save and what is beyond repair. Technicians will use top industry tools and techniques to dry and restore your documents. 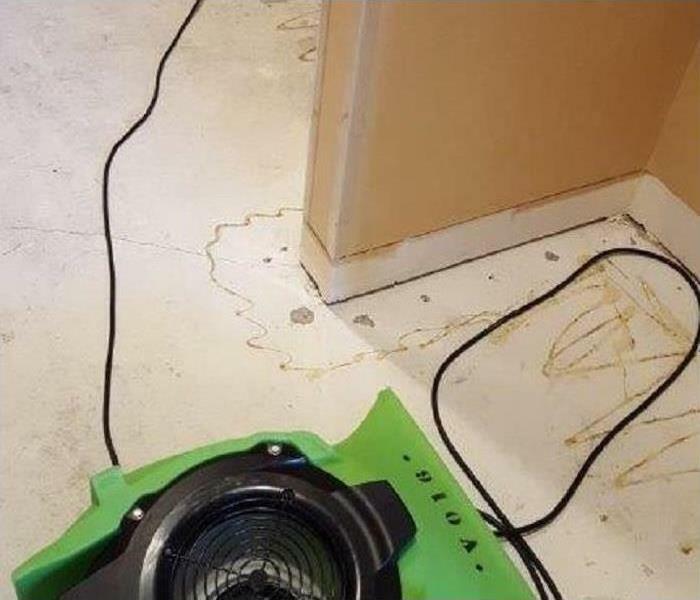 SERVPRO has some unique document drying techniques that you won’t find with all other cleanup teams. The technicians will employ vacuum freeze-drying to save your books, papers and other documents. 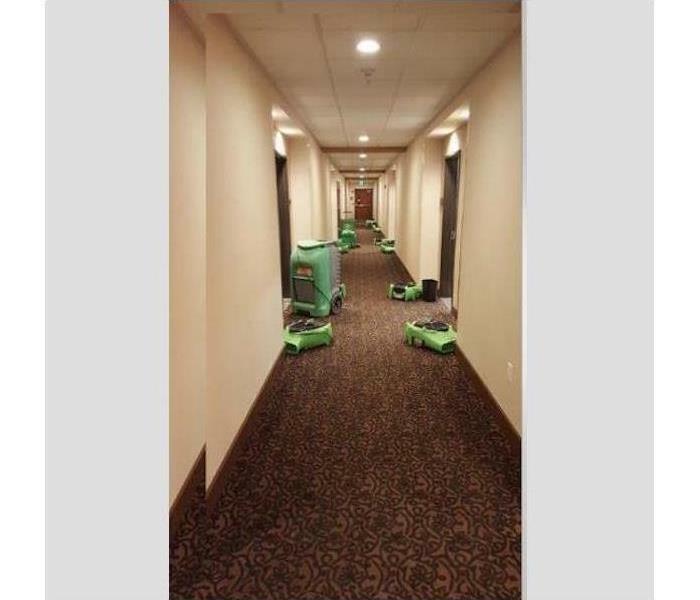 In addition to this, SERVPRO will carefully clean and sanitize the documents. This is especially important if you’ve had a flood in your Pacific, WA, home, and sewage is a concern. The team will ensure that harmful substances don’t stay on your documents. SERVPRO isn’t the company that does document restoration, but it should be your No. 1 choice when you have these needs. One advantage is that SERVPRO will help keep your cleanup costs down compared with other commercial companies. In addition, the team will work closely with your insurance provider to get the ball rolling on coverage so you don’t have to shoulder the bill. Don’t despair if your documents suffered damage in a flood. With SERVPRO’s document restoration processes, you don’t have to lose these important items. A refreshing beverage sounds nice, but a moldy beverage is disgusting. 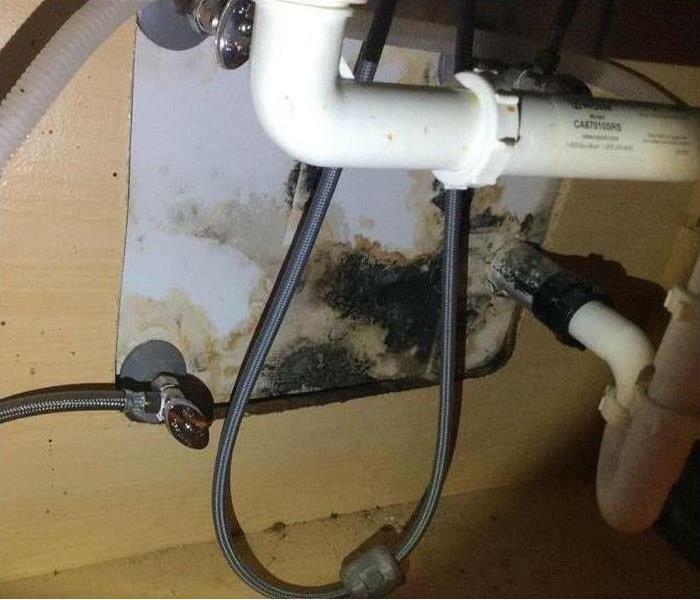 You may not realize it, but mold grows inside the appliances you depend on for your drinks. Whether it’s coffee or soda, you might be ingesting fungus from out of control mold growth in your favorite drink machines. How Can Mold Live in a Soda or Coffee Machine? Soda and coffee machines provide all these components in conveniently isolated environments. Each drink uses water as the base ingredient. Coffee beans are a fantastic fertilizer and sodas are almost entirely made of sugars. Mold only requires 24 hours to grow and spread from the moment spores settle on a surface. The deep dark recesses of soda and coffee machines make it difficult to clean them with scrubbers. Molds remain undisturbed and add their own special seasonings to your drinks. Mold growth latches onto organic compounds and puts down roots whenever possible. Fortunately, drink machines have synthetic surfaces making cleaning with a chemical flush feasible. Start by creating a mixture of equal parts white vinegar and water. Fill your machines up with this solution like you would with either water or your soda mix. Run the vinegar through the machine. The vinegar kills and removes any mold hiding in the reservoir and the lines. Allow it to rest for 30 minutes after completing a full cycle. The vinegar also leaves an unpleasant taste. To clear it out, run your machine two more times with clean water. Wash your other implements with soap and thoroughly dry all equipment. How Often Should You Clean Your Drink Machines? Even if you do not detect a moldy smell, your coffee and soda machines are subjected to mold growth whenever they sit unused. If you are in a damp climate like Auburn, WA, where molds are aggressive, clean your machines if they have had more than a day to rest idle. If aggressive mold returns, hire a licensed remediation expert to inspect your home for infestation.